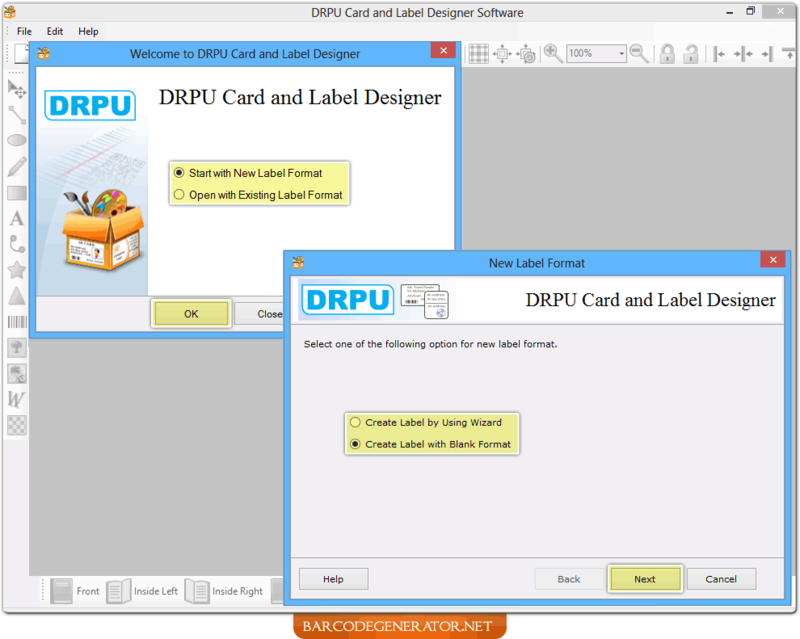 Select any one option either 'Using Wizard' or 'Using Blank Format' for New Label Format and click "Next" button.. 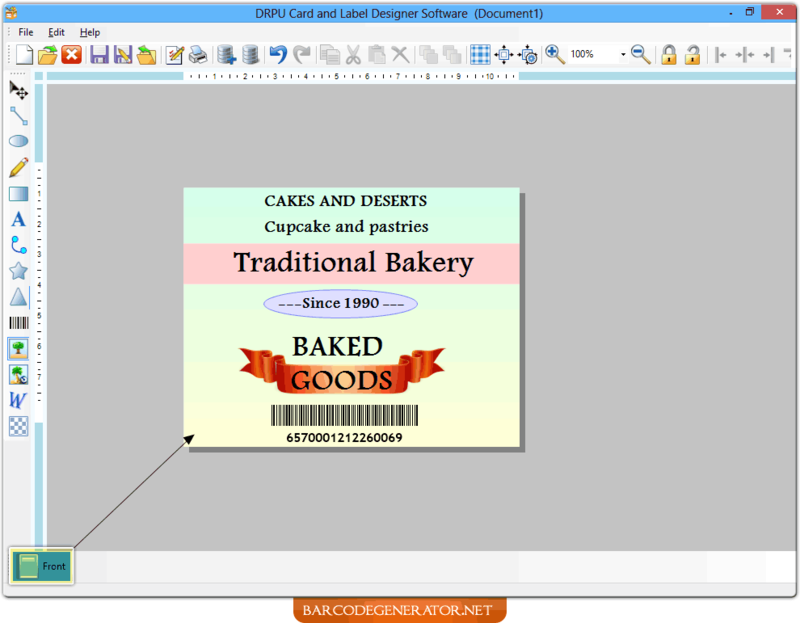 Specify Label Name, Label Size and Label Shape as per your requirements. 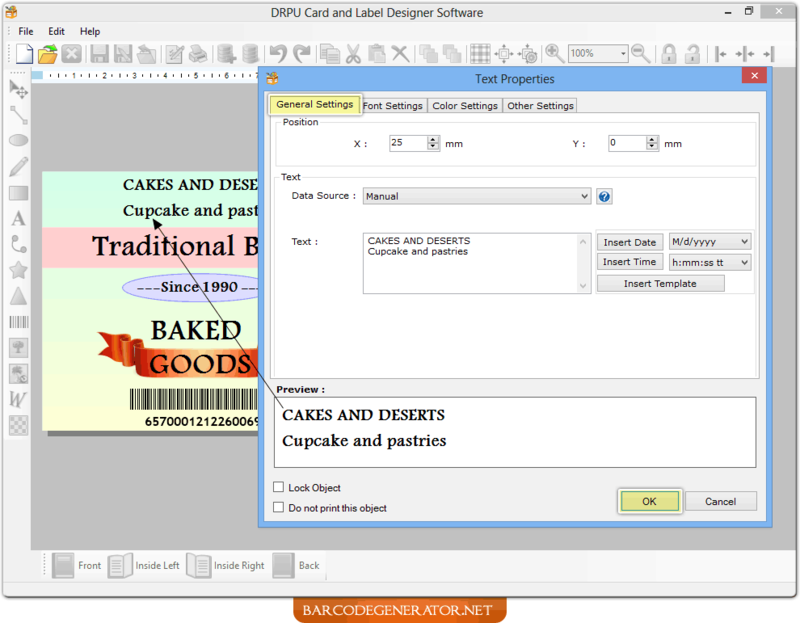 You can change Text Properties of 'text' written on your Card and Label using General Settings, Font Settings, Color Settings and Other Settings. 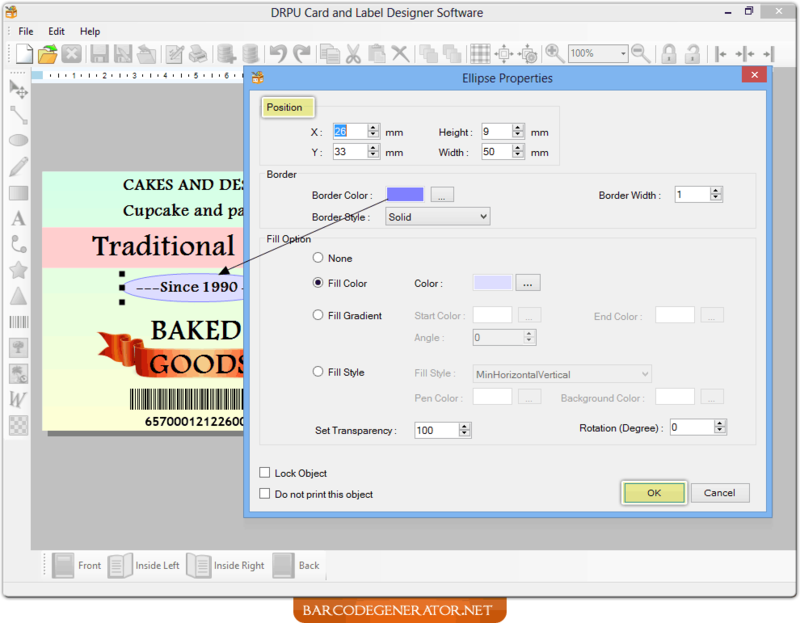 Set "Ellipse" properties as per your need. 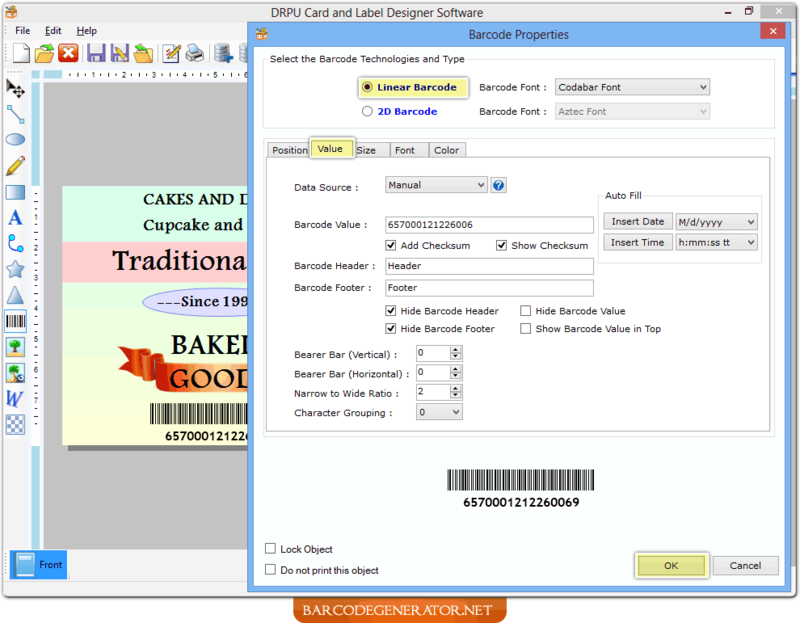 Set Barcode Properties of ‘Barcode’ added on your Label using Position, Value, Size, Font and Color tabs. 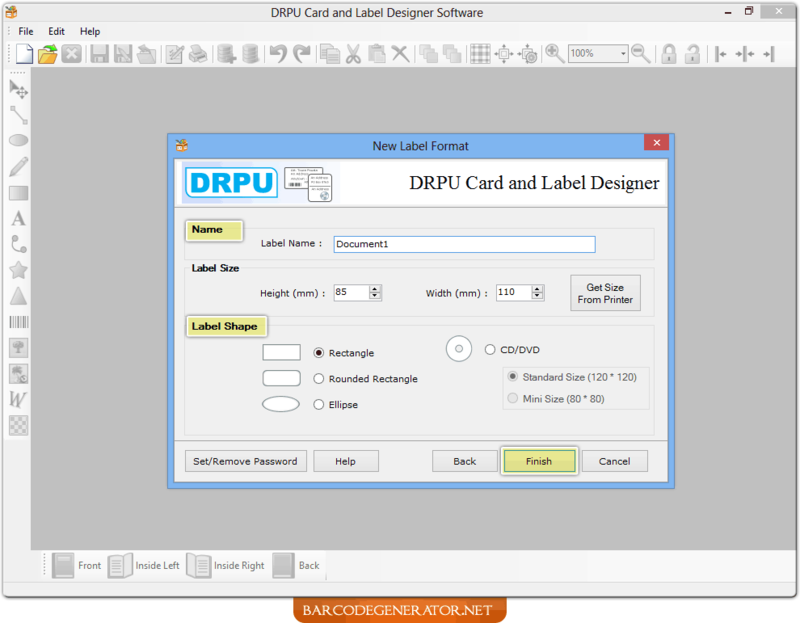 Here, is your sample of designed Card and Label using "Card and Label Generator Software".